Duncan Mighty has surprised a widow he saw dancing to his new single, 'Miekeraso' on Instagram. Her grandson had posted the video, saying Duncan should see his grandmom dancing to his new song. Duncan who re-posted the video then begged his fans to help him locate her and also promised to give her a bag of rice, goat, 3 wrappers and N20k cash. 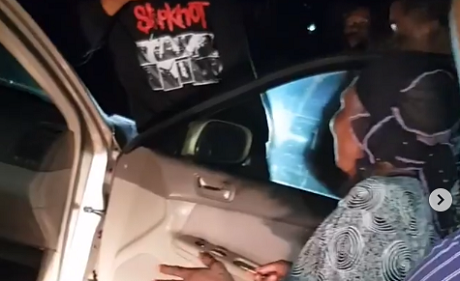 But after finding her the singer decided to surprise her with a brand new Toyoya Camry and also paid for her medical bills. Watch the video below…. has he paid the uber driver? Hope he has paid the uber guy?